Thanks Forthemommas for the list of deals at Rite Aid this week! We can all pig out on PB and J with unlimited free chips...then go for the heart healthy deal of Fish oil pills! HAHA! 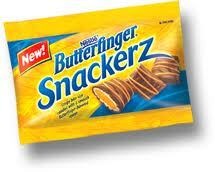 There’s a new $1/2 Butterfinger Snackerz coupon available on Coupons.com. These should be priced at $0.39 each beginning tomorrow at Walgreens, so they’ll be free after this coupon. You can print two coupons per computer. Game Funk via Buy.com has the Romantic Favorites Movie Collection for $12.99, which is over $6 less than its list price of $19.98. This set includes Notting Hill, About A Boy, Love Actually, and Bridget Jones: Edge of Reason, and would be great for a Valentine's themed movie night! Shipping is free and sales tax is only charged in CA, MA, MD, NY, and TN. Lots of Groupon deals today! I like the Kennett Square one best! Road trip anyone??? Find more Groupon details HERE. $89 for a One-Hour Couple's Massage at Rapunzel's Salon & Day Spa (Lansdale!) This one's for you, Sherri!! Get better! Reminder: Only 3 days left to save 80% on your next "MEAL" at your favorite restaurant from Restaurant.com! 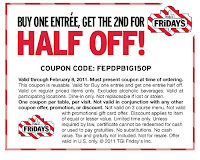 Get 80% off Restaurant.com $25 Gift Certificates! 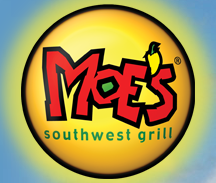 Use code MEAL at checkout now through 1/31/11. Remember that "unique valentine" post? Look at this ADORABLE idea someone used it for!!!! The deal is still available! 25 photocards for less than $2.50 shipped! Find the details HERE! 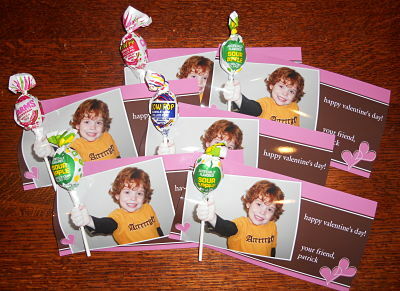 Just take a picture with your child’s first outstretched, create your cards and cut a slit to add a sucker to them. Printable Coupons for American Eagle,Yankee Candles, Ulta and MORE! Baja Fresh Coupons...expire soon ! CLICK HERE to print a coupon for a FREE order of the new Natural Cut Fries with Sea Salt from Wendy’s! Headed out to shop? You may want to swing by Old Navy! “This time of year you gotta to be ready for anything. So this weekend Old Navy has winter clearance items at up to 90% off original prices—that’s almost free! And we have new Spring styles at 30% off. So come to Old Navy this weekend. You’ll look great and save a ton. Remember, you can get additional money saving coupons from Old Navy’s Barker’s Bones when you dig for coupons. This weekend only — we’re giving all of our Facebook Fans a FREE GIFT — a NEW 1.6 oz Candle Preview! Download the coupon now to try our NEW Escape Home Fragrance Collection. No purchase necessary. While supplies last! Swagbucks is offering a 40 buck bonus right now to new members. This is in addition to the automatic 30 bucks for new members – so a total of 70 bucks right now! You will have to hurry though because this bonus code is only good through Saturday. One note is that it is best to register before Friday because they offer mega bucks on Fridays. So you can win higher value bucks all day. 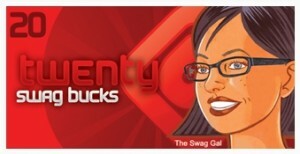 Not familiar with Swagbucks? You can find more info by reading through my Swagbucks archives or head HERE to read more. Free glasses from Facebook promo...AGAIN! Coastal Contacts will be giving away 10,000 pairs of free glasses on Friday, 1/28/11. EVERYTHING I have heard or read regarding the last few times they have offered this has been extremely positive! Cheryl's is offering $5 off ANY purchase from their online store. Use code SWEET5 to get your savings. You can also get $10 off any order of $60 or more with code SWEET2011. Head over to the Weis website and you should get a pop up that looks like above. Register for their newsletter and get $5.00 off a $50.00 purchase! FREE Boxes of NEW Clairol Nice N’ Easy Foam! Clairol is giving away 25,000 boxes of their new Hair Color Nice N’ Easy Foam everyday at 12 PM EST until 1/27 on Facebook...hurry AND get over there!!!! Blockbuster Express has yet another FREE rental code: 21CHD3X valid until 1/28! Here is yet another FREE Blockbuster Express rental code: MRC37H valid for a FREE One Night Rental. 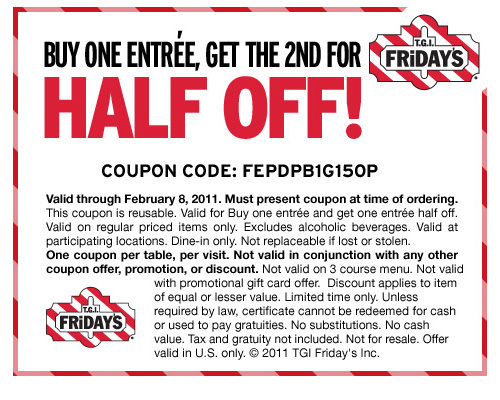 Valid until 2/25! After we had a sampling party of this stuff at a mom's support meeting, I found that several of you are already fans of this stuff! Grab some coupons on coupons.com and save for rite aid next week! They will be free at Rite Aid after SCR and coupon – the Osci is a money maker. for $5/1 Oscillococcinum Natural Flu Relief, exp. 1-29 (Walgreens, Jan) if you need it NOW! Once Dingo hits 25,000 fans on Facebook they will email out a $20 Promo Code that you can use to purchase Dog Bones, Dental treats and other Dog food items. Right now they are 18, 100 fans so they are getting close!! Get a FREE Copy of the Dads and Daughters book by Dr. James Dobson! Buy one get one FREE Nestle Nesquik 16oz flavored milk coupon! Click "Like" HERE, then click on the “Coupon” tab to print a Buy one get one FREE Nestle Nesquik 16oz flavored milk coupon! Coupons.com just released a $3/1 any Similac formula coupon! Walmart has the ready made formula for $3.84, so ONLY $0.84 after coupon! *sidenote: when I ordered and printed a certificate from Restaurant.com tonight I received a coupon for $10 off shoebuy....I wonder if I can stack these coupons?!?!?! Just thought some of you would want to know this…. Today, the new FaceBook Privacy setting called “instant personalization” went into effect.